a few years later and with better equipment, another team at ICI were able to recreate their colleagues’ earlier experiment when a leak in the apparatus alerted them to the significance of oxygen within the reaction. 2. 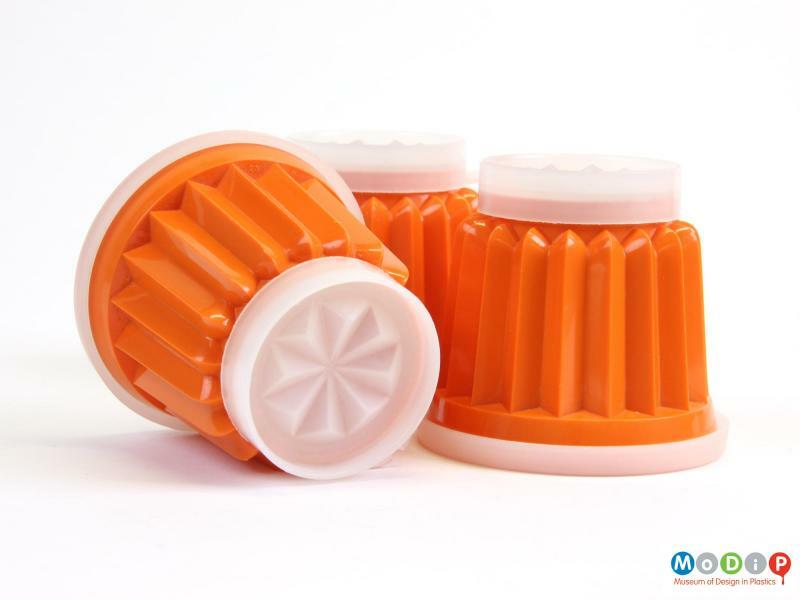 Earl Tupper was a keen amateur inventor and had produced a large number of designs before his commercially successful Tupperware. For example, whilst recovering from an operation in 1937 he devised a medical mannequin with rubber internal organs. That same year he devised the ‘Tupper Bomb’, an explosive device that discharged CO2 for crowd dispersal. Other ideas included a self-standing toothpaste/shaving cream dispenser, a double cigarette holder and a paint-on nail decoration kit as well as many, many more creations. 3. Brownie Wise had a penchant for all things pink: she funded research into the hybridisation of a pink ‘Tupperware Rose’, drove a pink Cadillac and even had her pet canary, Mr Crosby, dyed pink. 4. In 1954, Earl Tupper ordered some of his factory workers to be strip-searched when products started disappearing. It was found that several female employees were smuggling out bowls in their bras. 5. 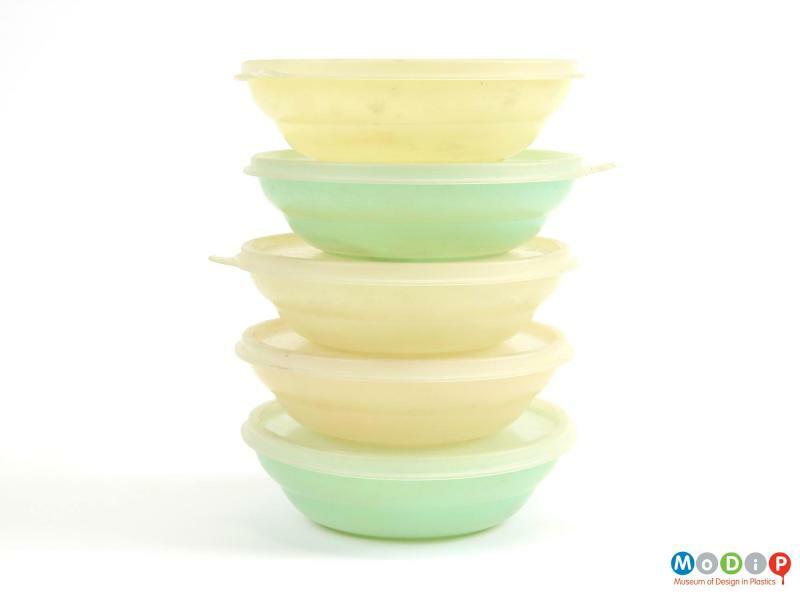 Wise introduced the Tupperware Homecoming Jubilees as a reward for top hostesses, managers and distributors. The 1954 ‘Big Dig’ adopted the theme of a gold rush with $48,000 worth of ‘treasure’ (gold watches, diamond rings, mink stoles and even a car) buried within an acre of land for the sales elite to dig up and claim. 6. Wise used to bring a piece of the black, polyethylene slag Tupper had originally experimented with to her sales rallies. She had it insured for $50,000, called it Poly and encouraged Tupperware dealers to rub their hands on it and make a wish to succeed. 7. 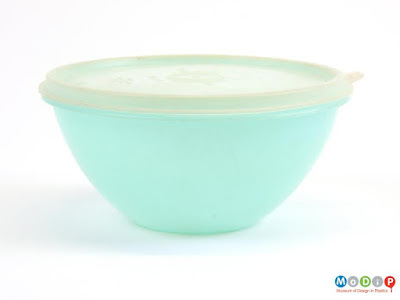 The first British Tupperware party took place in 1960, hosted by Mila Pond in Surrey. The brand continued to sell here for another forty years before being withdrawn in 2003. The company felt that the parties simply did not appeal to the British consumer. 8. 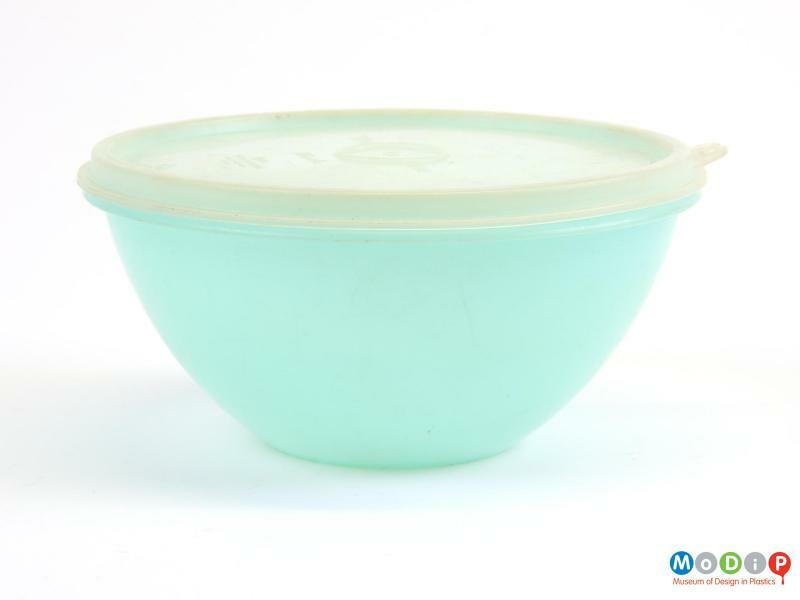 Tupperware was the one of the first brands to incorporate braille on its CrystalWave range, introduced in the early 1990s. There are so many other interesting aspects to the Tupperware story – it is even having a film made about it starring Sandra Bullock as Brownie Wise (currently in development). BBC. (2010) History of the World: the first piece of polythene. (online). Available from: http://news.bbc.co.uk/local/manchester/hi/people_and_places/history/newsid_9042000/9042044.stm (Accessed 8 October 2018). Bryant, M. (2015). 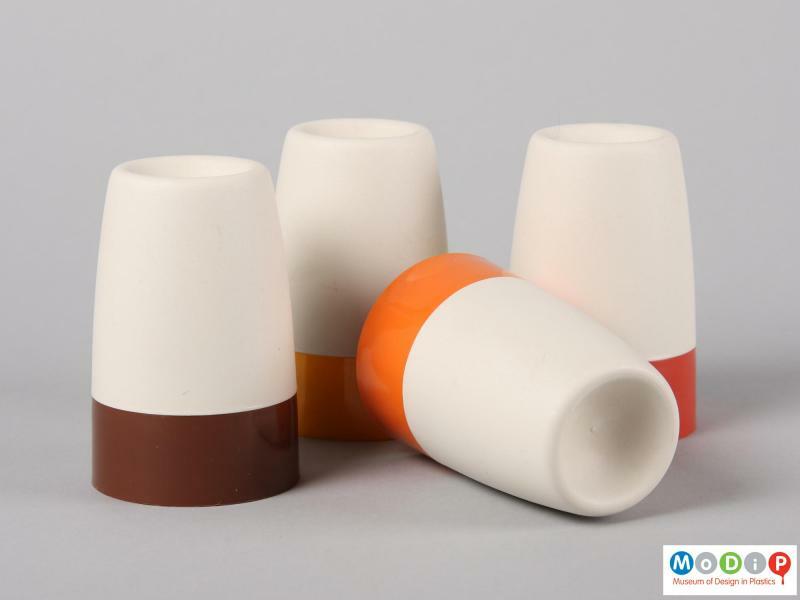 Fantastic Plastics in Postwar America: Earl Tupper, Brownie Wise, and Materials Marketing. (online). Available from: https://www.mrs.org/docs/default-source/programs-and-outreach/imos-course/module-11/module-11---fantastic-plastics---marsha-bryant-beta-wtmk.pdf?sfvrsn=7f1dd11_6 (Accessed 23 August 2018). Clarke, A. (1999). Tupperware: The Promise of Plastic in 1950s America. Washington: Smithsonian Institution Press. Conger, C. (2011). How Tupperware Works. (online). Available from: https://people.howstuffworks.com/tupperware2.htm (Accessed 28 August 2018). Eschner, K. (2018). The Story of Brownie Wise, the Ingenious Marketer Behind the Tupperware Party. (online). Available from: https://www.smithsonianmag.com/smithsonian-institution/story-brownie-wise-ingenious-marketer-behind-tupperware-party-180968658/ (Accessed 22 August 2018). Garner, N. (2016). 15 Tupperware Facts From the Back of the Fridge. (online). Available from: http://mentalfloss.com/article/85379/15-tupperware-facts-back-fridge (Accessed 15 October 2018). Grant, J. and Kearney, C. (2016). Parties for plastic: how women used Tupperware to participate in business. (online). Available from: http://americanhistory.si.edu/blog/parties-plastic-how-women-used-tupperware-participate-business (Accessed 28 August 2018). Kealing, B. (2016). Life of the Party: The Remarkable Story of How Brownie Wise Built, and Lost, a Tupperware Party Empire. New York: Crown Archetype. Kelly, J. (2011) Did Tupperware parties change the lives of women? (online). Available from: https://www.bbc.co.uk/news/magazine-13331830 (Accessed 22 August 2018). Minnick, M. (1995). Brownie Humphrey Wise (1913-1992). (online). Available from: https://sova.si.edu/record/NMAH.AC.0509?s=0&n=10&t=C&q=Wise%2C+Brownie+Humphrey%2C+1913-1991&i=0#summary (Accessed 22 August 2018). Sharp, R. (2008). Polythene's story: The accidental birth of plastic bags. (online). Available from: https://www.independent.co.uk/news/science/polythenes-story-the-accidental-birth-of-plastic-bags-800602.html (Accessed 8 October 2018). Tupperware Brands. (2018). Heritage. (online). Available from: https://www.tupperwarebrands.com/company/heritage (Accessed 23 August 2018). Tupperware Brands Global. (2018). Our Story. (online). Available from: https://www.tupperware.com.au/about-us/our-story (Accessed 23 August 2018).